Hi there, Mama! 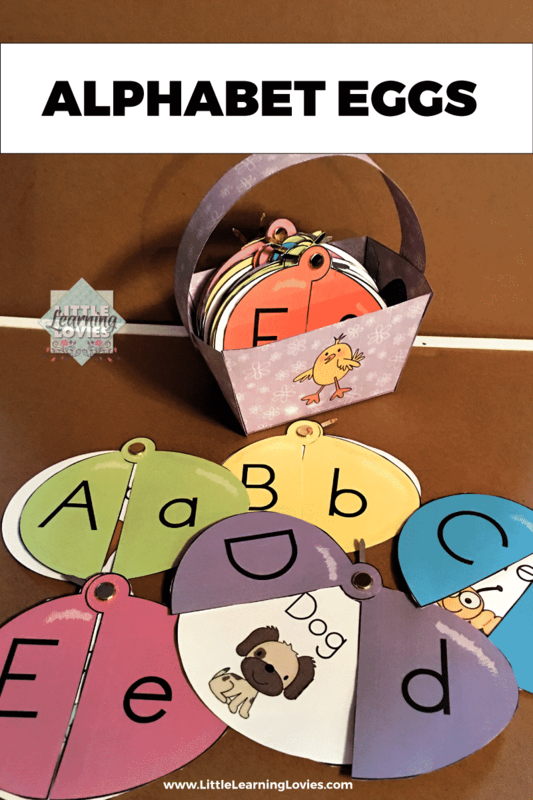 Do you have a preschooler working on phonics and letter recognition? This is the sort of skill that benefits from being presented in a wide variety of ways, involving different senses and experiences. “Alphabet Eggs” provide a fun way to experience the alphabet and it’s sounds. This big set, that even includes printable baskets, This printable!! For ages 2 to 6! It won’t take much time at all for your children to master these sounds. They’ll love playing with these eggs so much that they’ll never even notice they’re learning! 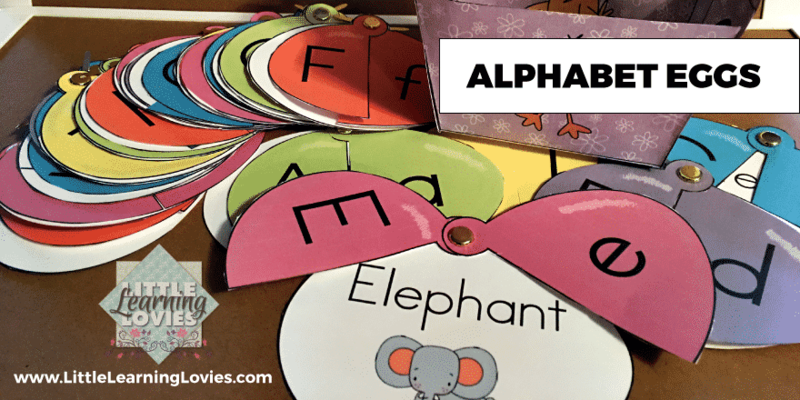 Older children can practice putting these in alphabetical order! My 6 year old helped me do that with this set. She was delighted! And she’s ready to help her little brother work on all of these sounds, while she, sneakily, will reinforce some concepts she needs to be an excellent reader. 🙂 Win-Win!! Alphabet Eggs is so much learning fun for kids who are about 2 1/2 up through 6 or 7 years old! There’s so much to learn with these that when you make them, you’ll find that, though you may put them away for a while, you’ll pull them back out again and again. GO GET ALPHABET EGGS NOW! What do you think of this one? Love it?